Litecoin wallet from Freewallet family combines all of the best features of hosted wallets. It is the most suitable free iOS app for any user, including experienced LTC miners, crypto newbies or users of Litecoin faucet. 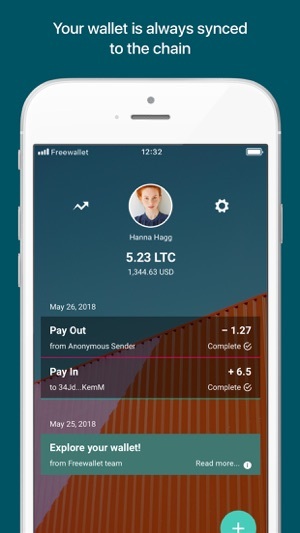 Litecoin wallet from the Freewallet family combines all of the best features of blockchain wallets. 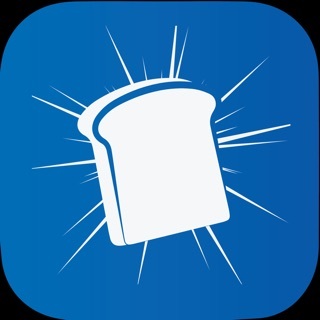 It is the most suitable free iOS app for any user, regardless of whether they are an experienced LTC miner, crypto newbie or user of Litecoin faucets. 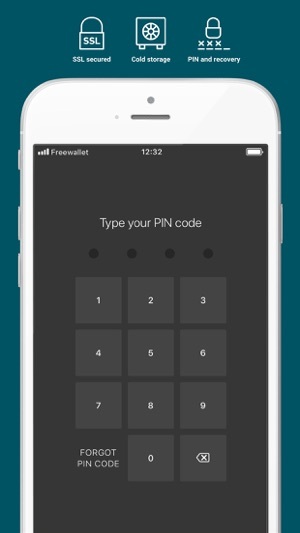 Freewallet’s Litecoin wallet is a hosted wallet and, as such, will provide you with high-grade security and assistance. Password retrieval as easy, and even if you lose your phone you can save your money by locking your account and accessing the wallet from another device. • Email confirmation for each transaction. 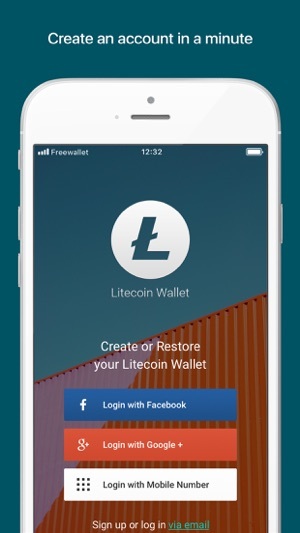 LTC wallet users may top up their wallet with almost any cryptocurrency and receive Litecoin or send Litecoin cash to almost any altcoin address. 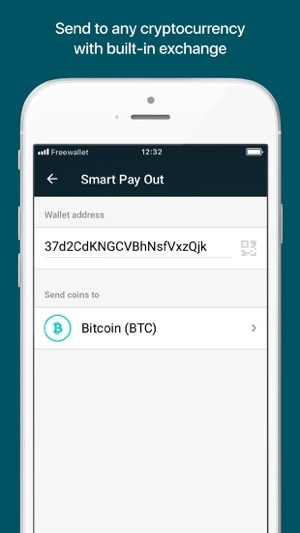 Transactions between Freewallet users are free. The free LTC App also lets users see their balance displayed in fiat currencies and has real-time LTC price charts and direct links to LTC block explorers in users’ transaction details. And, if you are into Litecoin trading, you can use Freewallet ’s integrated cryptocurrency exchange to convert LTC to almost any other coin. 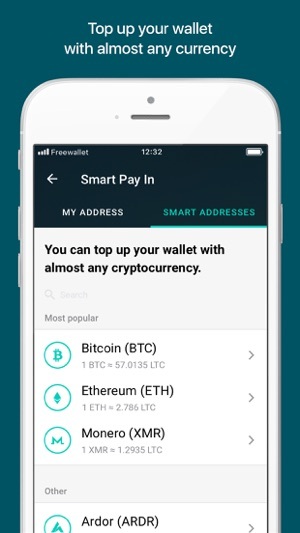 Freewallet has been a mainstay of the cryptocurrency community since 2016. It features more than 25 cryptocurrencies including Bitcoin, Ethereum, Litecoin, Dogecoin, Monero, and Bytecoin. NewsBTC listed Freewallet as the third most popular wallet in 2018. We found room for improvement in the way notifications were displayed and made them look better on your mobile device. I was able to resolve my issue with this app when my LTC was frozen for 24 hours in process. It required using one of my trader accounts to troubleshoot the issue. Granted that part of the issue is that blockchain tech is relatively new and they don’t have the compatibility thing down yet. The reason why I’m upgrading them from one star to two is simple. While the issue I encountered wasn’t their fault, they have dismal customer service with no ability to answer trouble tickets with using robo replies. Do yourself a favor, bypass the stress and buy a hardware wallet. Leaving your coins and tokens in someone else’s storage is a really bad idea. JWKM69, sorry to know you're disappointed. We're having an increased number of incoming support requests, and while our team is adjusting by working extra hours, there could be some delays with replies. Please give us a bit more time to offer you the best customer service possible. I don't and either recommend using this to store all your LTC, I use is as the account a pay from when buying something with crypto and it works great for that, the transfers seem to take a little longer than a normal LTC wallet but it's still plenty fast for me. I am also impressed, I got rid of my last phone and forget to clean out my wallet, got a new phone and reinstalled the app and was presently surprised to see my money still there with no issues. fbd53, thank you very much for sharing your Freewallet experience! 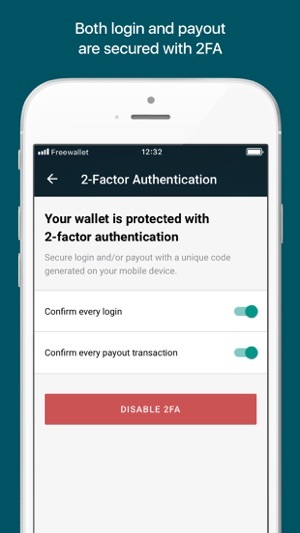 Sure, you can access Freewallet balance anytime from any device using your credentials. Were your transfers the cross-currency exchange operations? They may take additional time because of several exchange operations between coins. Great but if you are holding long get a physical wallet still! I would give it a five stars but the fact that i lost a couple of dollars on my bcc free wallet after an upgrade adjusting my balance to zero makes me feel like getting a physical wallet more and more appealing, in that sense I will never give any wallet five stars. Will Shawky, sorry to hear that. We can assure you that no funds "disappear" from our wallets. Please make sure you log in the right wallet or provide us with the user ID so we could check your recent BCC wallet balance.